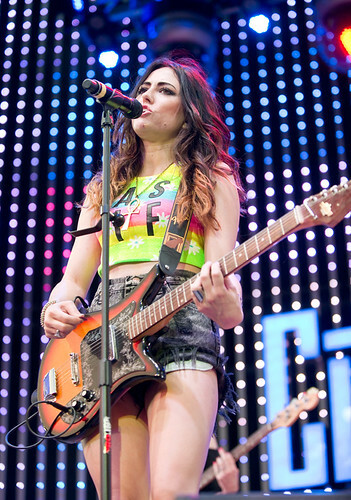 Kelsi Luck performs at 5 Towers at Universal Studios CityWalk. Just in time for the summer, Kelsi Luck released the party-dance anthem "That's What I Like" that's steadily been rising up the charts like the scorching heat recently felt here in Los Angeles. Her new music video has already been viewed over 100,000 times and has been featured on MTV's HIVE and has been featured on Fox's promo for "Dads" and "The To Do List" trailer starring Aubrey Plaza - all this without a formal album release. With Ting Ting-like dance beats and fun, catchy melodies that echoes Toni Basil, Luck's new video uses cinemagraphs to create a trippy, real-life diorama-esque feel. Check out her vid below. 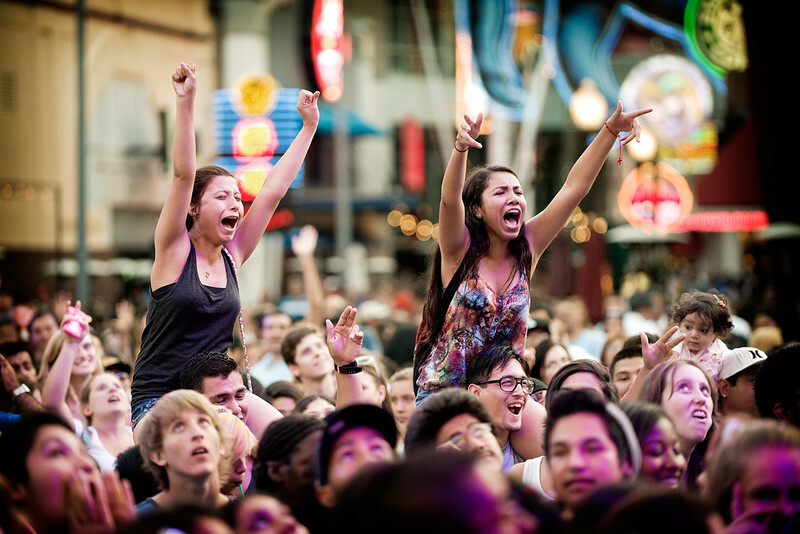 Kelsi Luck launches CityWalk's 5 Towers Summer Concert series. On Saturday, Kelsi launched The 5 Towers Concert Series at Universal's CityWalk, a site that is quickly becoming the place to watch artists before they hit superstar status. 5 Towers was Carly Rae Jepsen's first US concert before her hit "Call Me Maybe" broke the internet with everyone from Jimmy Fallon, The Muppets to the USA Olympic Swim team covering the catchy tune. Before there was even a stage, a little unknown Canadian named Justin Bieber performed and Cee Lo Green christenened the stage when it opened two years ago. Who knows? With a name like 'Luck,' she could be that next artist to launch into the stratosphere. Plus, she plays every instrument from keys to guitar like she did this Saturday night. To say she's talented is an understatement. Kelsi balances throwback '60s girl-group melodies with the carefree sounds of '80s pop. And with a confident stage presence (she did seem nervous at first) Kelsi won over the crowd. The 5 Towers is one of the largest free venues in the country, boasting state-of-the-art jaw-dropping sights and sounds. 5,000 LED lights encompass the 31 x 24-foot stage that features five 42-foot LED light-towers and to make sure there isn't a bad seat in the house, a large 26-foot monitor is mounted above the stage for all to see. The best part: it’s FREE! Click HERE to see the summer lineup. And to view more photos from Kelsi's show, visit our Flickr page right HERE.